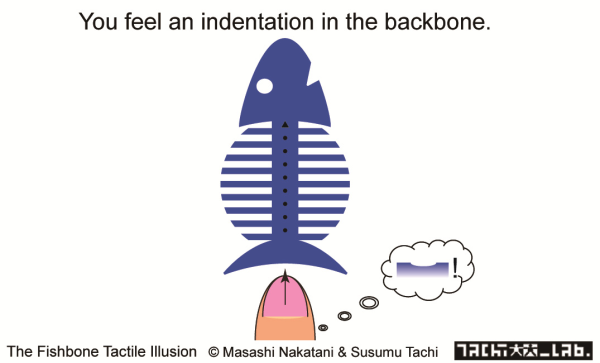 The “Fishbone Tactile Illusion” occurs with a stimulus with the centerline (“fish spine” sandwiched by the ridges (“tiny bones”). You would feel indentation in the centerline, when stroking it with a fingertip, even though it is as flat as the ridges. 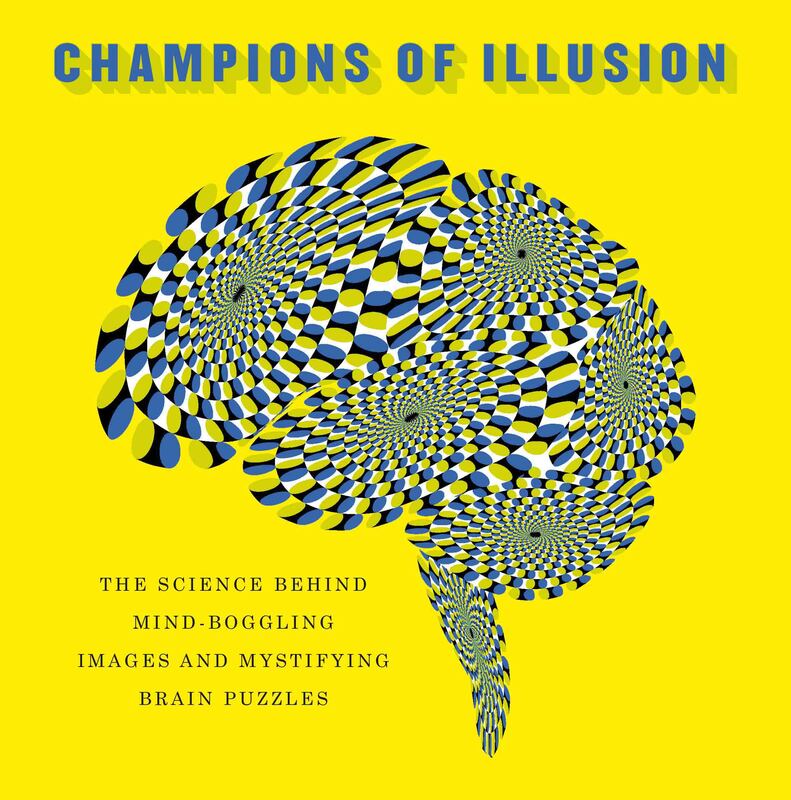 This illusion occurs because both surface form and texture information are transmitted by the same tactile afferent nerves. Due to the cross talk between those two streams of information, the texture in the ridges can bias the form perception of the centerline. The sample is on my business card, so please come get one and enjoy the illusion!